3.PWM modulation technology,high inverter frequency,portable and energy saving. 5.Inverter Welder Plasma Cutter is Suitable for automation line use. Packaging Detail: One pc per carton or as per your request. Delivery Detail: 10-15 Days after confirm the order. 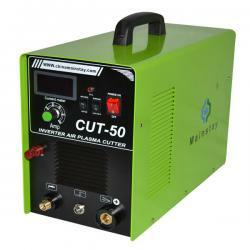 1.with 1 year warranty for this Inverter Welder Plasma Cutter. 3. every parts can be provided. Why choose Mainstay metal welding machine? and reduce the cost of repairing,wejust have to change the bad pcb board. countries in all more than ten thousand ofeach tig welder model.We all get good feedback. 5.For large order,our engineer can come to your country for Site Instruction. mosfet tube and components to supportrepairment. 7.We provide a FREE ONE YEAR WARRANTY for all our items. requirement,please no hesitatived to contact us.